What can be said about Matt Redman's music that hasn't been said before? He is one of the best British worship leaders ever (although Tim Hughes might have something to say about that). But more than that, Matt is a true gentleman who writes songs that honestly tell God how amazing He is, and boy does he know how to pen a good tune. 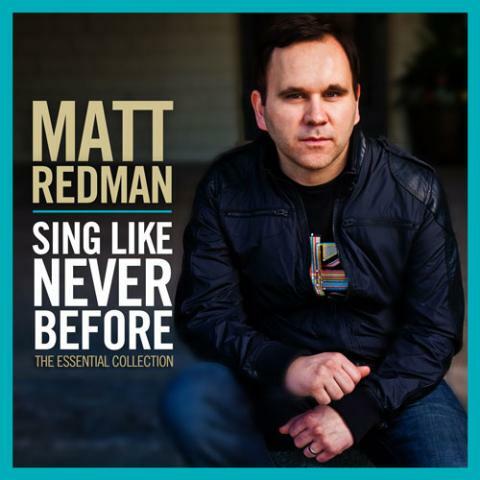 'Sing Like Never Before: The Essential Collection' features fourteen of Matt's most popular worship songs, including several all-new recordings of his biggest songs. Read More What can be said about Matt Redman's music that hasn't been said before? He is one of the best British worship leaders ever (although Tim Hughes might have something to say about that). But more than that, Matt is a true gentleman who writes songs that honestly tell God how amazing He is, and boy does he know how to pen a good tune. The album opens with the already 'modern classic' 10,000 Reasons. A great song that when I first heard it, sounded like it could have been a well known hymn! It's got that classical familiarity to it and I found myself singing out loud along with the chorus "Bless the Lord ohh my Soul, ohhh my Soul, Worship His Holy Name. Sing like never before, Oohh my soul, Worship Your Holy Name". What an amazing song. We quickly jump into another 'modern classic', Our God. We all know the Chris Tomlin version, who Matt co-wrote the song with, but I don't think I have heard a version with a Redman vocal before. Musically it's not really different to any other version you might have heard before, yet hearing Matt sing it does add a new dimension to the song. Again it's another one of the best songs Matt has ever written. "And If Our God is for us, who can be against us". Amen. We then move onto a new recording of a much older song, Better Is One Day. Originally recorded many moons ago, this new recording adds a modern style to the song. Still with a great impact, the chorus says, "Better is one day in courts than thousands elsewhere". It's nice to see an older song given a modern day make-over which makes it sound much fresher and better for it. "Ohh no You never let go" is the chorus cry of the amazing track You Never Let Go. I don't think this song gets the recognition it deserves as being one of the best worship songs in the last few years. It's one of Matt's most personal songs, about troubles and hurt in the dark times of life, yet still declares that God never lets go of us. A truly amazing song. The same could be said for the track Never Once, the track appeared on Matt's last studio album and for me I think you hear Matt's best vocal here. One newly written track for this album is called Love So High. It starts with a simple Grand Piano and some nice atmospheric synth work, which is a beautiful start, then slowly building into a hard hitting chorus with the words, "Your love so great, higher than the stars unfailing love, deeper than the sea, Your love so sure, stronger than the mountains of your love, it's everything to me". This is such a beautiful, heartfelt song, and I'm sure it will become a song used in churches around the world during times of worship. The album is full of classic worship songs such as The Heart Of Worship, Blessed Be Your Name, Nothing But The Blood and Once Again. They all still sound as great now as they did when first heard. Matt Redman is such a talented songwriter and it's great to see so many of his songs on this album, covering the whole of his career, and I'm sure there will be many more to come. The album ends with the track Twenty Seven Million, a song co-written with the British Rap band LZ7. The song was a single released in the UK mainstream charts and reached an impressed number 12. Released in support of the A21 Campaign, which aims to combat human trafficking and slavery, the single was played on BBC Radio 1, the UK's biggest national radio station. A great song, with a message that we need to hear, and also something we must act on. I'm really glad to see this as the last track on Matt Redman's Essential Collection.